During our Normandy stay, we got to see a lot of old tanks, boats, and barricades. 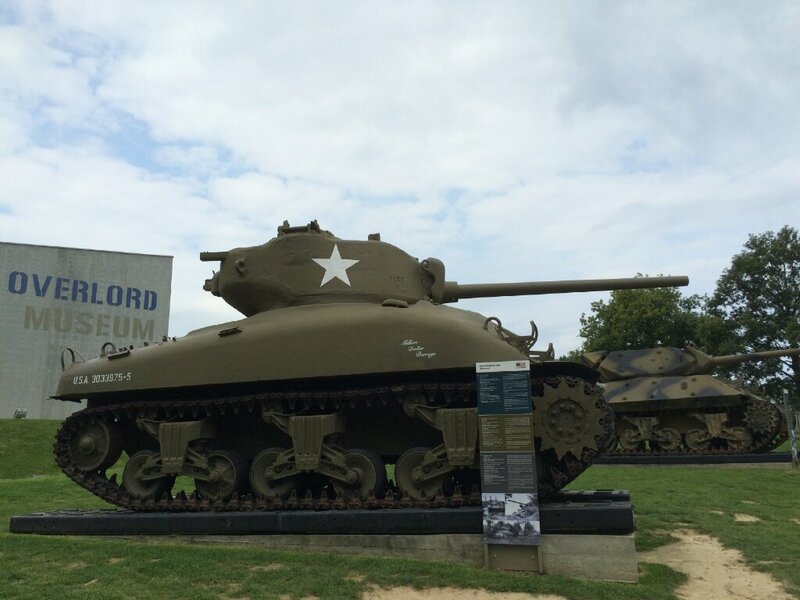 The Overlord Museum was really great. A guy who grew up in Normandy and saw parachuters during the invasion, had spent his whole life collecting these weapons and tanks from the war. Greg especially loved being able to see the old cars, trucks, motorcycles, etc. We also went to Utah Beach which is west of Omaha Beach. It's much smaller and there wasn't quite as many who died on Utah Beach, but it was still very special to be there. I think my favorite thing about visiting these sites was to see how many others were there. Everyone spoke different languages and were paying their respects. We were the youngest people we saw at any of these sites, but it was a nice experience to see so our flag raised in the sky and to see all the people who benefited from the events that happened at this beach.